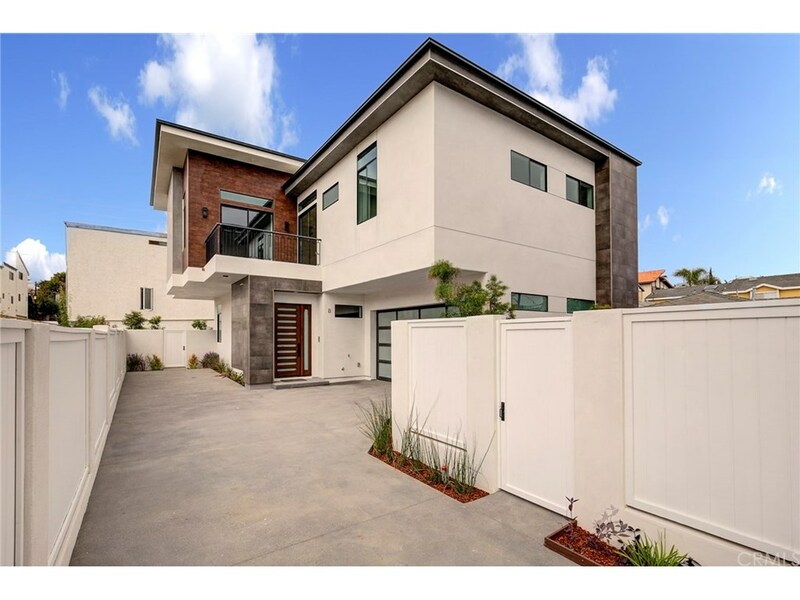 Brand new detached contemporary townhome! Gourmet kitchen with quartz countertops, center island, and premier appliances opens to large living room with wet bar and a modern linear fireplace. Wet bar features a mini wine cooler. A powder room and pantry are also on main level. Backlit mirrors in all bathrooms and under vanity lights. Custom iron railings on staircase leads to spacious upstairs den area with balcony access. Large master suite features vaulted ceilings, gas fireplace, walk-in closet, balcony access and a luxurious master bath with free standing tub and separate shower. The laundry room is also upstairs for your convenience. Landscaped backyard with concrete patio. Unique custom features include Aiphone video entry monitor, prewiring for speakers, prewiring for a security alarm & cameras, and a central vacuum. Two car attached garage.